The most advanced, convenient way to carry your magazines has landed with the all-new Drop Leg Magazine Carrier from Alien Gear Holsters. 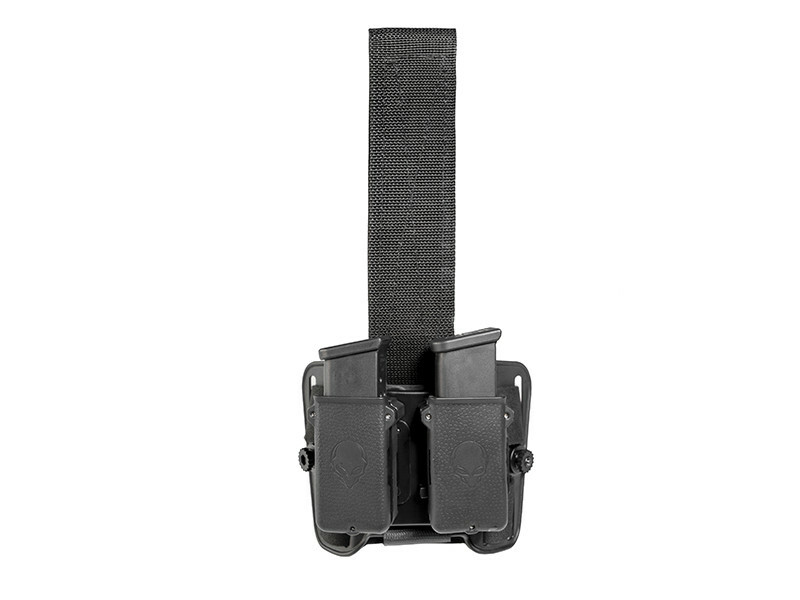 This versatile Drop Leg Mag Carrier comfortably holds two to four spare magazines on one platform! 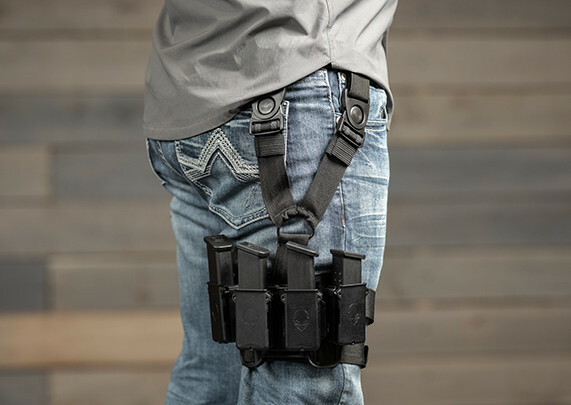 The primary strap of this durable holster is made of nylon cam webbing, a material that relentlessly supports even the heaviest set of magazines. 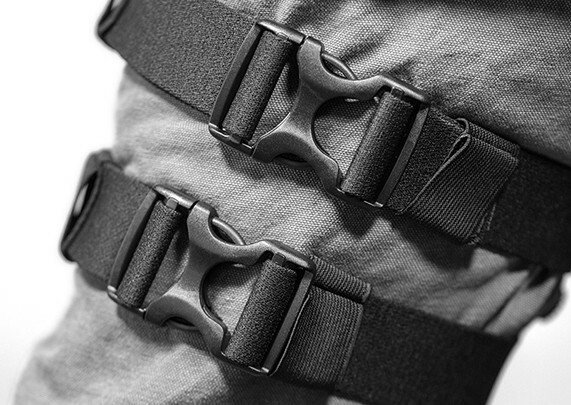 This strap loops around the carrier’s belt and fastens with a strong-hold Velcro that offers four inches of vertical adjustment. With its adjustable design, your hand rests right where the magazines are secured, allowing for a lightning-fast reload with no obstructions. 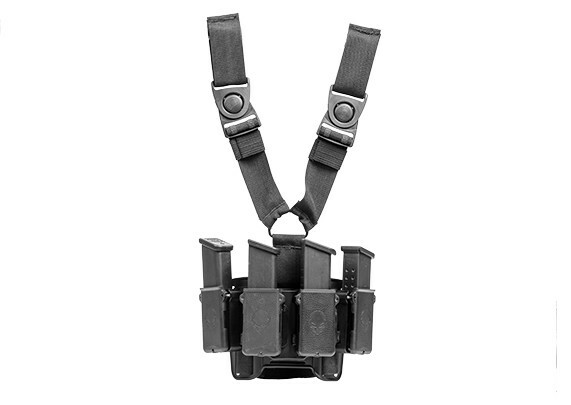 Many elements of the mag carrier are ultra-comfortable, allowing you to wear the Drop Leg Magazine Carrier from dawn till dusk with zero discomfort. Two soft, stretchy straps wrap around the leg and can be customized in seconds. The base of the Drop Leg Mag Carrier also provides enhanced comfort with a curved shape that flexes to the shape of your leg. The buckles of the Mag Carrier lock into place smoothly, and are made of a superior light-weight material that is designed to never break or unlock, even under stress. Those looking to ramp up their tactical training and preparedness can attach a Drop Leg Mag Carrier to either leg, for a maximum of eight easily accessed spare magazines. Wearing spare magazines at this carry position is a great way to free up space on your waistband. Also, enjoy complete compatibility with the ShapeShift Modular Holster System, including the ShapeShift individual holsters, and the Cloak Mod OWB Holster. 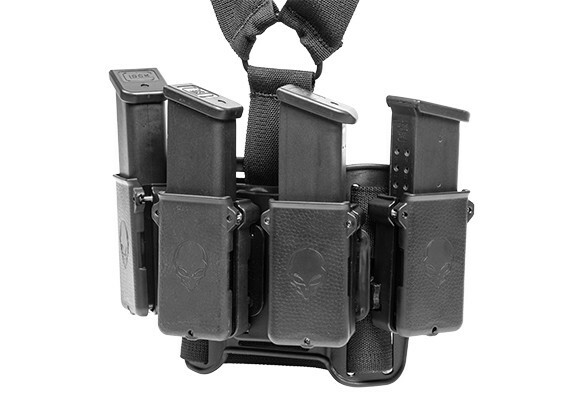 Try the Drop Leg Mag Carrier now with Alien Gear Holsters’ 30-Day Test Drive. This American-made product is also backed by a Forever Warranty upon purchasing. Discover the most advanced Drop Leg Mag Carrier today!